This is absolutely one of the nicest things you could do for your customers: say ‘Thank You’ for your loyalty. 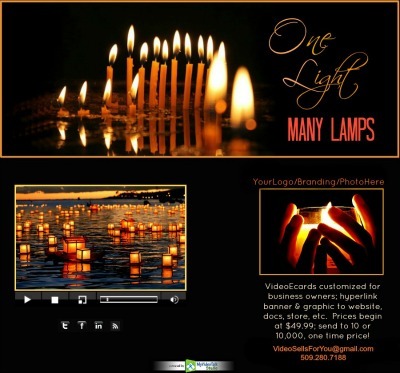 This elegant video ecard, especially customized for small business purposes, is an excellent way to ‘personalize’ your customer care with little time involvement from you. 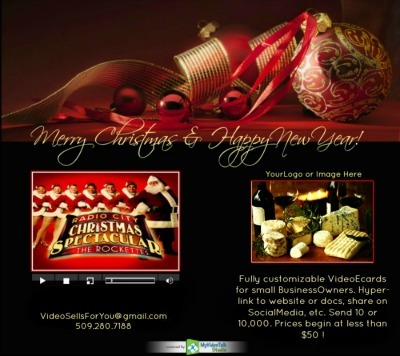 These video ecards can have personalized message from you, link to your website as well as your social media. You can attache a ‘Seasonal Greeting’ company letter that brings them up to date with your current offering and do all of it without appearing to be thanking them and at the same time asking for more! Here’s why, the videos that have be designed to go in them do not pound at them for the next order, rather it gifts them with a moment of the season, commercial free, if you will. Most of the footage is edited to view like a mini movie…it’s a respite from the hustle and bustle. I’ve had people, who are not even my customers , yet, say that they go and view the mini videos just to relax! Now I am praying that they relax enough to press the paypal and order one! Seriously, they do and there are repeat customers as well. If you could calculate what it really cost you to acquire your customers, I can tell you that you’d be shocked at the price AND you’d be more likely to maintain those clients and customers. These video ecards I’ve developed are mini movies, mainly because I am a filmmaker and think that way. I also have a Master’s Degree in Screenwriting so I know how to structure a beginning, middle and end to any length of story, even a 15 sec commercial!.. Bragging rights aside, go see for yourself and then give me an opportunity to present these very affordable and effective tools to support your developing business. Oh, by the way, in case you don’t know this, I should add, that ‘content is considered king’ in the world of SEO (search engine optimisation – and that means that your website is made ready and available so that when someone googles a generic product or service, one of them you’ll be providing if you’ve a small business, anyway,’ Content is King ‘ and in todays internet marketing frenzie, ‘Video is King of Content’. This is something you can go out and verify for yourself. Its now more common than not and has been true for more than 7 yrs., when the search engines like google or youtube direct searchers to your service or product, they respond FIRST to video content. 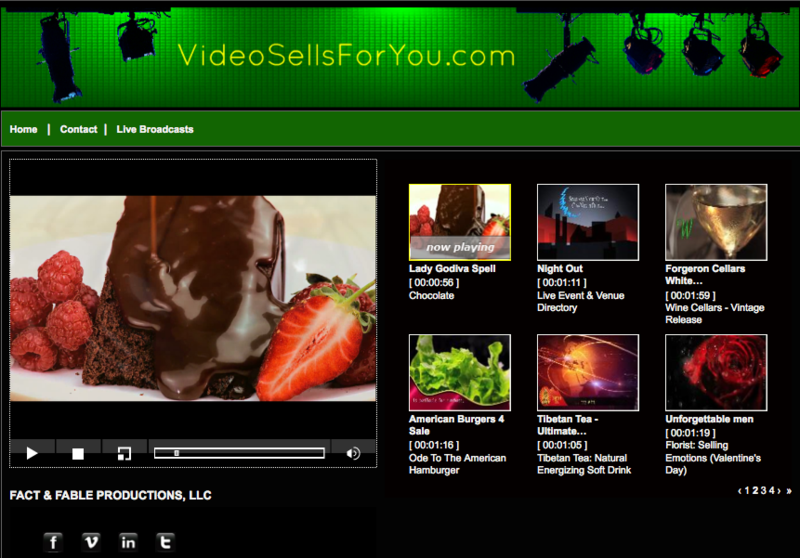 How can you go wrong for putting a professionally produced video on your website, your blog, facebook, and all social media, post one advertising your offering in free, local advertising directories?! I’ll look forward to speaking with you; it will take only a few minutes unless you want to discuss special needs you may have that need to be included in the video productions we can custom for you. 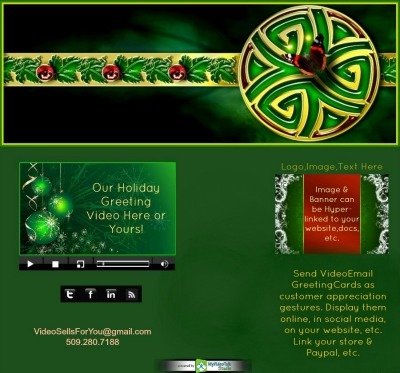 Did I mention that you can put auto responders in these video email cards? You can equip them so that they harvest very useful information for you.